Hamilton County Schools superintendent Dr. Brian Johnson speaks during the Hamilton County School Board meeting Thursday night, March 22, 2018. UnifiEd, a local education advocacy organization, presented its APEX project report, which has been months in the making, to the Hamilton County school board Thursday night. The report focuses on five key areas — racial and socioeconomic desegregation, funding and budgeting, supporting the people in our schools, supporting the whole child and community engagement — identified by the 27-member steering committee created when the project, Action Plan for Educational Excellence, officially launched last fall. Most importantly, the report shines light on some of the inequities that face students in Hamilton County. To read the full report, visit: unifi-ed.org. "Inequity is not just a problem for today. It's a struggle communities have faced across our country because of social, political, and economic choices and trends. Educational inequality is the unequal distribution of academic resources," said Reginald Gilmore, a member of the APEX project steering committee. "Inequity isn't just a problem for kids in Opportunity Zone schools. It's a problem that hurts all of us, and we can't remain divided between neighborhoods and schools when we all care deeply about the future of education in this beautiful city." UnifiEd staff members, whose work centers around equity, spent the fall gathering community feedback through surveys and traveling the county on a bus to engage community members and have them vote on their biggest concerns or priorities for Hamilton County public schools. "More than 4,000 community members were engaged in the APEX project," said Elizabeth Tallman, a member of the steering committee. "We recently launched into the implementation stage of the project." For more information about UnifiEd’s APEX project, visit unifi-ed.org/the-apex-project. After identifying 10 key areas, as well as the stakeholders or leaders who can address these issues — elected officials, Central Office, school leaders, community organizations and community members — UnifiEd launched five teams through the Equity Collective. "The goal of the Equity Collective is to have five action plans ready at the beginning of 2019 to present to the entities who can execute the plans," Tallman added. As for the report, Ashley Conrad, UnifiEd's director of policy and research, hopes school board members can learn from some of the findings, suggestions and research included in the report. 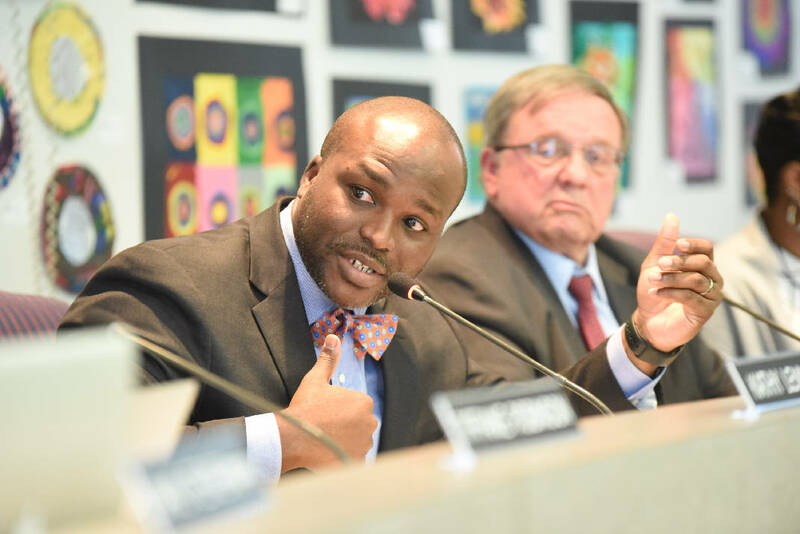 "There are a number of school board members who are focused a lot on equity and for them this isn't a surprise," Conrad said. "And for some of them, as they read this and see what the community wants, [they] will use it as a learning experience."